3 & 5 Rider Boulevard are two modern A-Grade asset completed in 2005 and 2008 with a total net lettable area of 41,700sqm2 with 815 car parking spaces. The building is owned by Altis Property Partners who identified the need to upgrade the amenity of the building to compete with newer assets in other areas of North Sydney. 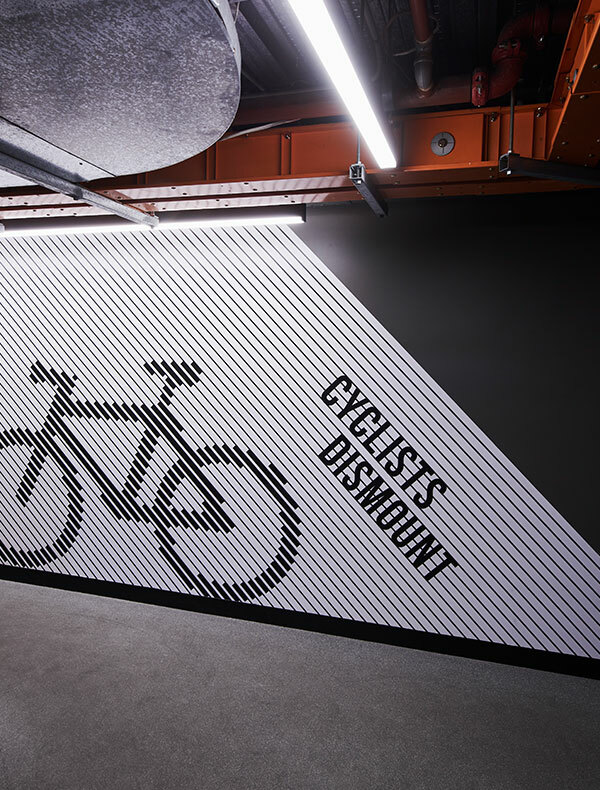 The project involved the refurbishment of the existing lobby at 5 Rider Boulevard and the upgrade of the internal wayfinding signage for both buildings. The project management scope was to manage the project from concept design to achieving an Occupation Certificate (OC) including procuring and managing the design team, obtaining all relevant authority approvals, key stakeholder communication, procuring and managing the main contractor. The key feature of the lobby project was to maintain the budget whilst providing a high end, contemporary finish and activation of the space. The wayfinding project was used as an opportunity to rebrand the buildings and create a modern vibrant look. L2, 50 York St, Sydney 2000.